Checking your Bank Verification Number can be made possible by using the USSD code I will disclose to you here. Before then, let me tell you more about your BVN from your bank. Your account is always protected from unauthorized intrusion. 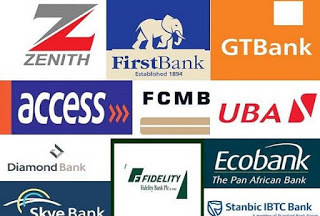 The universal identifier is applicable to all Nigerian banks. You protect yourself from fraud and identity theft. Simplicity of using the code will allow you to quickly identify in any bank. Banking transactions are orderly and performed without failures. Technical problems will not affect your credit history. Back to what we are looking for, MTN, Airtel, Etisalat, and Glo has now made it easier for you and I to check our bank bvn using a ussd code that I will give to you guys. The code doesn't need an internet connection to work. Its just a dial and your Bank verification number will be staring at you face to face on your mobile phone screen (even on Nokia touch light phones). So if you find it hard to move around with your diary where you have your bank verification number neatly written down, or simply can't locate the one you have saved on your phone book, memorize this code. Just dial *565*0# from the mobile phone number (sim) you have attached to your bank account. The code works for all banks bvn on MTN, Glo, Airtel and Etisalat lines. Aside from using the above code to check your bank bvn on all Networks, some banks have taken it upon them to create there own unique custom code for checking it as well on the go. One of this banks include GTB. So if you are a GTBank customer, you can also check your gtbank bvn by dialing *737*6*1#. That of other banks will come up here once we get hold of them. ==>1. The above code checking bank bvn now works on Glo lines as well unlike when it was initially introduced. ==>2. Checking of bank bvn is not free. You need N10 airtime balance for it to work. ==>3. After checking your bvn using the above code, it's advisable you write it down in a secure location to save yourself from spending N10 each time. That's all for now people. If you have questions, suggestions or issues making use of this code, kindly tell us using the comment box for assistance.